Calling all Justice League fans! Whether you’re looking to start a collection or add on to a preexisting one, we have the just thing to help you. We created a list of the ten best Justice League Toys and Action Figures. The toys on are list are geared towards people of all ages and can be used for play or display. Purchase any of the items on our list to watch a world of action and adventure unfold! Superheroes will never go out of style. In fact new toys are constantly being released. We recently updated our list to remove any out of stock products and replaced them with popular products that are currently available. Children over the age of three can join forces with batman using the Fisher Price remote control command center. Turning the power pad will send the Justice League heroes into the sky. Using the remote, your child can steer the vehicle forward and backward. Once the vehicle has reached its destination, your child can transform it into a playset. Designed with a jail inside the vehicle, your little crime fighter can lock up any villain they defeat. Pushing the red transform button will raise the batwing platform and launch the batwing into the sky. With preloaded sayings and tons of cool features, the opportunities for adventure are endless. The command center will unleash your child’s imagination and encourage them to dive into a world of pretend play. The remote is designed to fit onto the back of the car, thus making it easy for your little one to keep up with. The remote control can easily be operated by children as young as three. The back of the vehicle is designed with a storage spot for the remote thus making it easy for your child to keep up with it. The Justice League Flight City is a large playset that combines several activities into one. It basically combines Metropolis and Gotham City, plus it comes with a Batman and a Superman figure. This wonder toy includes trap doors, jails, a functioning elevator, four power pads, landing pads, and projectile launchers. There is just so much to look at and explore that your child will be busy for hours with this set. One of the power pads has a 360 degree flight motion. 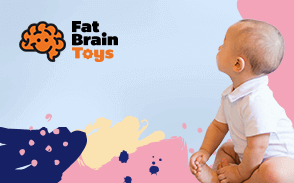 With action sounds and lights, it is a fantastic toy for kids three years old and older. Batteries are included, so play can begin immediately when the item arrives. Kids will get plenty of motor skill development and imagination creativity with this activity set. There are so many different things to do and operate that children will be happy and engaged in productive play. This toy is ready to go out of the box because it comes with the batteries and the figures needed to play. People are more satisfied with an item if the manufacturer includes everything needed for operation. Children love to use action figures and activity play sets to recreate movie scenes they see or make up some of their own. Toys like this Hall of Justice for the super friends are a perfect toy for that. The superheroes Superman and Batman are included in this set to place in the different areas of the toy. The Hall of Justice contains five projectiles, power pad, projectile launcher, computer screens, jail, and a team-gathering area. Some of the items light up and the batteries are included. Kids three years old and older will find this toy fascinating because it gives them practice with imagination and fine motor skills. It is wonderful that kids can enjoy toys like this one while they practice their fine motor skills with the many activities in this set. Manipulating the moving parts, controlling the lights, and placing the action figure toys all increase this ability in the hands. Action figures are great toys to play with alone, but when a child has an activity set like this one to act out scenes and events with the figures, playing becomes so much more fun and meaningful. With the Animal Adventure plushes, your child can cuddle with their favorite member of the Justice League. Composed of super-soft fabrics, your child can snuggle it comfortably. Measuring in at 21 inches long, these stuffed heroes are the perfect size for children. When purchasing you can choose between Superman, Batman, Wonder Woman, or Supergirl. If your little one is a fan of the villains, Harley Quinn and the Joker are also available for purchase. Be prepared for your child to want to collect all six after you provide them with their first DC plush. Stuffed animals provide children with a sense of security. With a member of the Justice League by their side, there is no doubt that your child will feel safe at all times. Designed with high-quality stitching, these characters are made to survive countless adventures and bedtimes with your child. They are lightweight thus making it easy for your little one to tote around. Children will love cuddling their favorite superhero or villain as they plushies are super soft, lightweight, and sized perfectly for younger children. You can tell just by looking at this Justice League collectible figures set that it is, indeed, a collectible item! However, that doesn’t mean that it’s not also a great toy for kids who know how to care for them. This box set comes with the full Justice League: Superman, Batman, Wonder Woman, and even Green Lantern. It’s great for ages three and up because there are no small parts and these action figures are durable due to their bendable flexibility. Each one has been carefully created and painted to look just like the superheroes from the comics, but fans of DC will also be delighted to know that they resemble the superheroes from popular DC movies as well. Kids of all ages will enjoy playing with these and bringing their own crime-fighting stories to life! A few years down the line, they’ll also be happy to know that they have a collectible item that they can save and keep on their shelf for years after they’ve grown out of their imaginative play stage. Oftentimes, bendable action figures have a tendency to look warped or unrealistic due to their stretchy material. These are top-quality and will still hold their likeness, even after years of play. For DC fans, this is a great starter Justice League gift or just a cool gift to give anyone who loves to collect superhero items. Whether it’s sitting on a shelf or in a toy box, this will be great fun for kids any age. Everyone knows that Batman is the coolest out of the entire Justice League, right? Well even if you disagree, perhaps this set by Fisher-Price will change your mind. There’s nothing better than having a superhero action figure, but it’s even better when you have his mode of transportation as well. This Batmobile is the perfect accessory to go with a fun recreation of Batman and it’s perfect for toddlers. This toy is fully interactive which will make playtime a blast -- Literally! The Batmobile fires “missiles” just like in the comics, cartoons, and movies, and it even has bat wings that lift up to reveal Batman’s always-recognizable logo. The cockpit of this car opens to reveal a seat specifically made for this Batman figurine, and it’s one of those toys that will definitely have your kids moving around and fighting crime in no time. All the accessories your child needs are included in this playset. Batman even has a change of clothes just in case he needs to go on the run from any villains! The fact that the Batmobile actually works just like in the movies is what has our attention. It’ll be fun for kids to figure this toy out, but even more fun for them when they realize they can pit Batman against their other toys to duke it out for humanity. Your child can recreate their favorite scenes from the Justice League movie with these Batman and Steppenwolf action figures. Batman is dressed in his tactical gear and is even equipped with his cape. Steppenwolf is also prepared for the fight as he is dressed in his grey armor and removable helmet. The figures are designed with movable joints thus making it easy for your child to pose them as they please. Children ages three and up can easily grasp and light these characters. Batman is twelve inches tall and Steppenwolf measures in at 13.5 inches tall. Your child is encouraged to create their own adventures using the characters. The beautiful craftsmanship of each character’s outfit and the posable joints will enhance the level of fun your child has while playing with these action figures. LEGOs are great, but when they are themed for the superheroes, they are super great! This set includes, besides the blocks to make the car, Batmobile stud shooters, hidden cannons, fold out boosters, and translucent lights. Once kids build the car, they can start playing with the miniature figures that come with the building set. There are Batman, Batgirl, Robin, Alfred Pennyworth, Flying Monkeys, and Wicked Witch of the West to entertain children. These can be put in the car and possibly combined with other playsets to form a large Justice League area. Character accessories for the figures comprise a utility belt, a hat, a helmet and capes for five of the personalities. Kids five and older should truly appreciate this set to explore the beginning of imagination toys available for this age group. LEGOs with their many pieces and unlimited combinations exercise the mind as well as the hands. The hands and fingers get a workout from picking up and putting the pieces together. Hand-eye coordination is at work too, just as cognitive skills from deciding how to use the blocks. Fun toys like LEGOs have so many parts and they can be combined with other sets to make huge constructions. LEGO collections have been around for a long time because they keep kids busy for hours of interesting play. This LEGO building set makes the gyrocopter from the Batman movies. Kids six and older will love playing with this set with plenty of small pieces and unique helicopter parts. There are rudders, rotors, bomb-drop functions and gas bomb elements. If that is not enough to get the superhero enthusiast excited, then look at what else comes with this fun LEGO set. It has a jetpack for Batman with bat wings and an aerial gun for thrilling hours of play. There is even a miniature power plant that can explode. Batman and scarecrow miniature figures are included for instant fun as soon as it arrives. For helicopter fun and exhilaration for your child, this set makes a wonderful gift or every day toy. This helicopter constructed of LEGOs is great to teach kids. Besides the fantastic motor skills that will be exercised, the imagination, decision-making, and coordination abilities will be increased too. LEGO sets have the ability to be used in conjunction with other LEGO sets, even ones that are not the same theme. For this set, buildings and helicopter landing areas could be added for enhanced play. These booklets are perfect if you have a creative child! Not only is it affordable but you get 15 sticker books in just one package. These would be perfect party favors, travel books, or just for everyday fun. Not only are they sticker books, but they are coloring and activity books as well. Some booklets have 24 pages, and some have 96-–perfect for hours of fun and they’ll help get your child creative with something they’re interested in. These activity books are wonderful because you get 15 of them-–they're perfect for safekeeping when you’re ready to travel. They include all Justice League characters, giving your child the ability to choose their favorite hero. They’ll help your child gain their creative side with activities inside. We love this product because it’s perfect for your child who’s a superhero fanatic. These activity books encourage children to expand their minds and have fun while doing so. From the superhero vehicles and action playsets to the character figures and tattoos, all of these items have the Justice League images on them or the figures are included with the product. The vehicles, building sets, and playsets are replicas from the movie scenes that kids can play with for hours of fun recreating the scenes and making up some new ones. Included action figures have authentic details in their designs to make them look realistic for enhanced play. Each item was created with the child enthusiast or collector of Justice League items in mind. Most of the items are well-suited for kids three years old and older, except for the remote control Batmobile. This toy requires the dexterity and mental capabilities of an older child to use safely. Even some of the safer products, such as the tattoos and wall decals, should be used under adult supervision to ensure they are being used correctly. Any child that likes the superheroes would love to have any of these artistic items to play with or decorate their rooms. The ideal age for the majority of the products here is five years old. This is because that is the age where kids start to dream and fantasize about the characters they see in the movies. They can at this age recreate with playsets and action figures and make up their own scripts. All items are also wonderful for superhero collectors of any age. It is never too early to start your child’s collection today if they are attracted to the Justice League characters. Toys in one way or another provide some advantage for kids as they play or collect their favorites. Action figures and playsets give them the opportunity to explore their creative geniuses and make up scenes and scripts. Motor skills are also exercised greatly in the building, setting up, and moving pieces around. Slap bracelets, wall decals, activity books, and tattoos are all a part of artistic expression, just as the large, soft blanket helps with security issues. Because the slap bracelets are durable and can withstand repetitive motions, they aid in calming those with anxiety issues. Each product in its own way helps children with motor, cognitive, or imagination skills to advance their growth and level of enjoyment. Q: Do figures come with the action toys of the Super Hero Flight City and the Super Friends Hall of Justice? Also are batteries required and included? A: Yes, for both of these toys the figures of Batman and Superman come with the set. Batteries are required and included for both of these to work the lights and sounds of the item. Q: Does the Ultimate RC Batmobile come with batteries or must they be purchased separately? How is this vehicle controlled? Do you have to buy a separate remote? A: This vehicle has a rechargeable battery. Once charged it should last for 30 minutes to an hour for play. It is best to recharge the battery when not in use so it is always ready to be enjoyed. This toy is controlled by a smartphone. There is no separate remote control. It is guided by a downloaded app to your phone. Q: What superheroes make up the Justice League? A:The original team included Aquaman, Flash, The Green Lantern, Batman, Superman, Wonder Woman, and Martian Manhunter. However, the roster has rotated over the years from when the team was first introduced in 1960. Q: Are the Justice League Plush characters machine wash safe? A:With each character being composed of a super soft fabric you can toss them into the wash when needed. However, we recommend letting them air dry. Q: I see the Joker pictured, is he included in the command center? A:No. Only batman is included in the set. However, additional characters can be purchased separately.